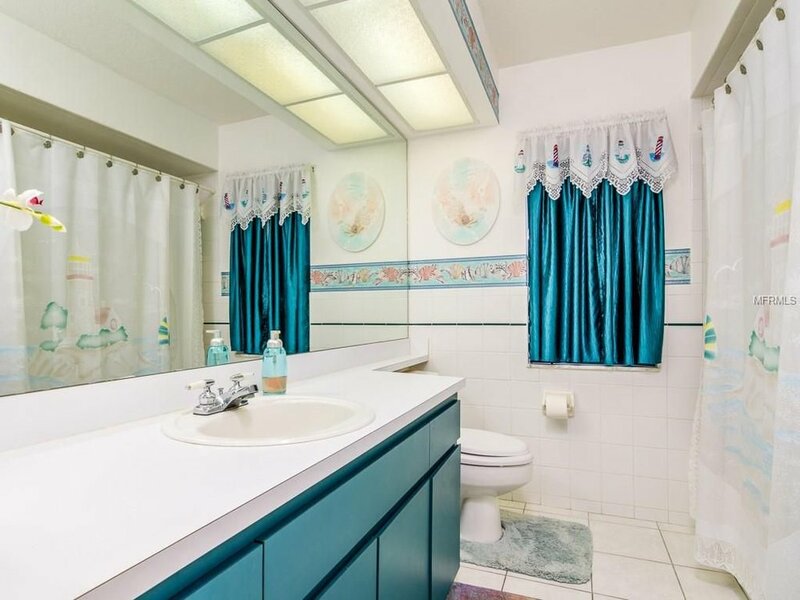 This home is screaming, "Stop looking, you found me!" The Florida-style ranch home starts with lush tropical landscaping, manicured flower beds and a pristine lawn. It continues with the ornate, handmade stained glass windows that trim the covered front porch, creating the perfect spot to enjoy your morning coffee. Continue through the French doors into the formal dining/living room combo. You will love the open feel of this triple split floorplan with 10' ceilings and solid oak flooring throughout. The kitchen features a large breakfast bar, nook, and built in desk, all overlooking the spacious family room. The master bedroom accommodates the largest furniture - you even have his and her walk-in closets. Enjoy your backyard oasis, from the refreshing pool and waterfall to the refurbished concrete decking. Lounge on the 31'x10' porch, with its built in electric grill, sink basin, & ceiling fans. We challenge you to find a better place to call home! Or Click Here for additional listing details! 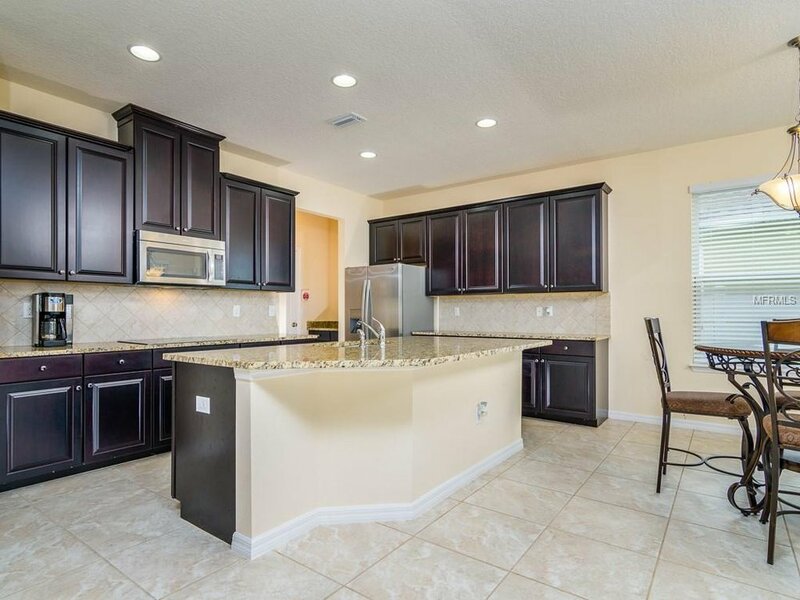 This Beazer built, “CAPTIVA” floor plan in Land O’ Lakes is only 5 years old and has hardly been lived in with well-appointed UPGRADES throughout. This home offers smart design features for a more affordable, eco-friendly home that is 100% ENERGY STAR rated! Upon entering the foyer, you are greeted by an elegant formal dining room, living room with volume ceilings & easy-to-clean tile floors throughout. The kitchen features 42” cabinets, stainless steel appliances, granite countertops, double oven, and an enormous island with a breakfast bar. The Office/Den can easily convert into a Guest bedroom. Upstairs you find the Master Suite, a true retreat that measures in at 28x14 feet. 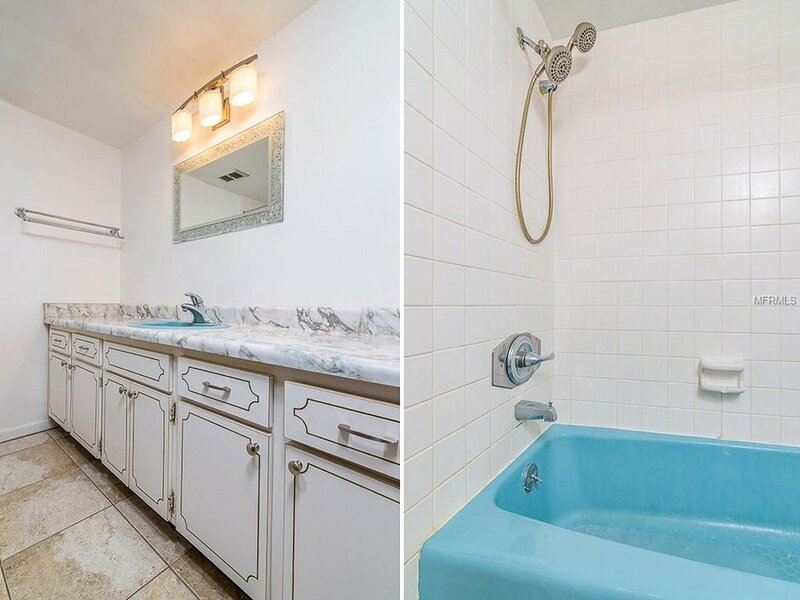 Master Bath features upgraded tile, granite countertops, dual vanity, garden tub, separate walk-in shower, and a HUGE walk-in closet!The upstairs has a large family room, two spare bedrooms, a second bathroom, and laundry room. This move-in ready home features a covered lanai and fenced yard offering endless possibilities. Dupree Lakes is surrounded by natural conservation and walking trails and offers amenities including: Clubhouse with a Resort-style Pool, Splash Pad, Playground, Tennis, Basketball and Beach Volleyball Courts, and is conveniently accessible to shopping and highways. If space is what you need then this home is for you! This rare and unique “WINDSOR” floor plan provides a whopping 4500 Sq. Ft of living space! Built in 2014 this like-new home offers 5 Bedrooms, w/ Master Suite on main level, 3.5 Baths, 3 Car Garage & a Media/Theatre Room measuring 26x15! Enjoy the privacy from your covered patio, vinyl fenced backyard, scenic woodsy views all situated on .25 Acre lot on the most desired Cul-de-sac in Dupree Lakes! 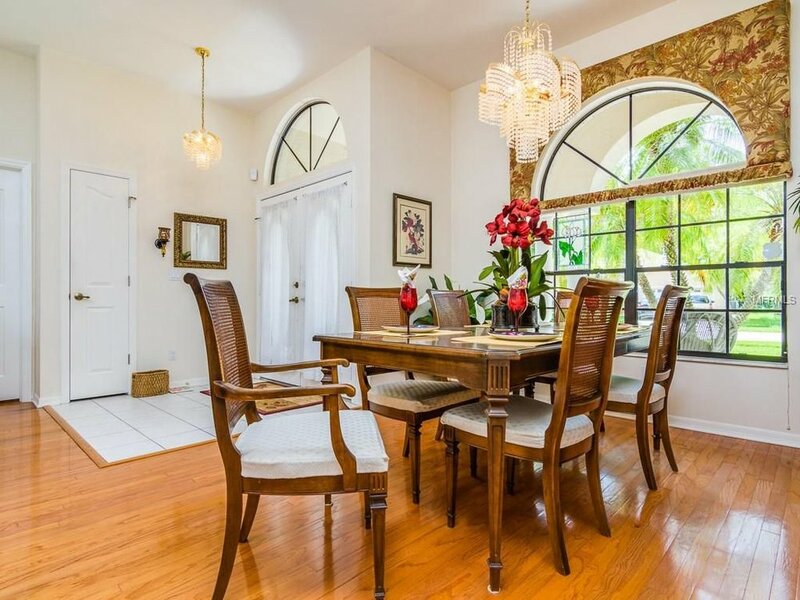 This home Boasts High Ceilings & Tile flooring throughout first floor. An open Family/Kitchen combo space with a HUGE Granite Island, Breakfast Bar, stainless steel appliances including a Double oven, 42” raised panel Wood cabinetry, & a walk-in pantry. First floor Master Suite includes a Jetted tub, separate Walk-in Tiled Shower w/ Listello accents & a dream closet complete w/ Built-ins. Amazing second floor features a huge loft, four oversized bedrooms, and a most impressive MEDIA/THEATRE Room. Dupree Lakes is a neighborhood that has Amenities in Abundance, including a Resort-style Pool, w/ Splash Pad & Lap Lanes, Clubhouse, Tennis, Basketball, & Volleyball Courts, Soccer Field, Playground, & paved Biking/Walking Trails, conveniently located. BEACHWALK IS AN AMAZING TAMPA BAY WATERFRONT CONDO COMMUNITY THAT OFFERS TRUE FLORIDA LIFESTYLE LIVING! Open, split-bedroom floor plan with a private balcony. You will love this Living room/kitchen/dinette combo layout and the fully upgraded contemporary kitchen includes quartz countertops, breakfast bar and stainless steel appliance package. Don’t even worry about moving in furniture - this apartment comes FULLY FURNISHED with acceptable offer! The dinette is equipped with custom wall moldings and a stylish glass table and chairs that convey. You will love the spacious living room with 2-piece crown and outfitted with French Doors leading out to an 8x10 foot screened balcony. The master has porcelain plank tile flooring, a walk-in closet, and an upgraded bath complete with jetted whirlpool bathtub. Beachwalk offers a resort atmosphere & when you live in this community, you feel like you are on vacation every day with all the amenities such as the crystal blue pool, outdoor kitchen, clubhouse with pool tables, movie theater, gym, car wash station, 5 day a week front door valet trash pickup, and GATED 24-HOUR SECURITY. 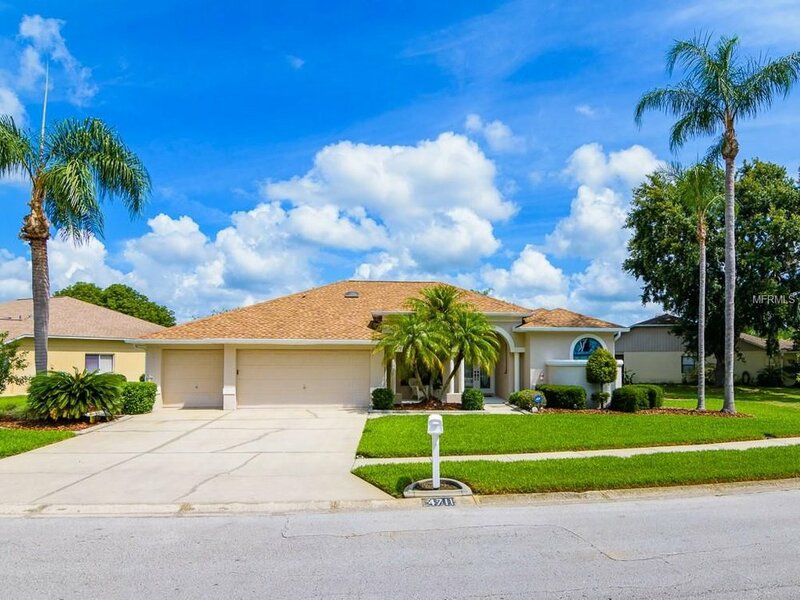 It is located right off the Veterans for an easy commute to downtown Tampa, St Pete, beaches, shopping, dining, golf and only a 10-minute drive to Tampa's Airport. Do not pass up this fantastic opportunity to own a piece of paradise, schedule a showing today! This spacious single-story Ranch is in the Beacon Square community is the perfect place to relax. The split bedroom floor plan features two separate living areas with formal living/Dining room combo in front & Kitchen/ Family room in back. You will enjoy ample sized bedrooms, Hurricane Shutters, Walk-in Shower & Closet in Master Bath, Automatic irrigation system & much more. Call and make an appointment to see this home today! Calling all investors! TENANTS LEASE RUNS THRU 06/30/2019! Spacious Townhome with 3 Bedrooms, 3 Full Baths, 1 Bedroom and Bath downstairs. Ceramic tile in the living area with carpeting in the bedrooms. 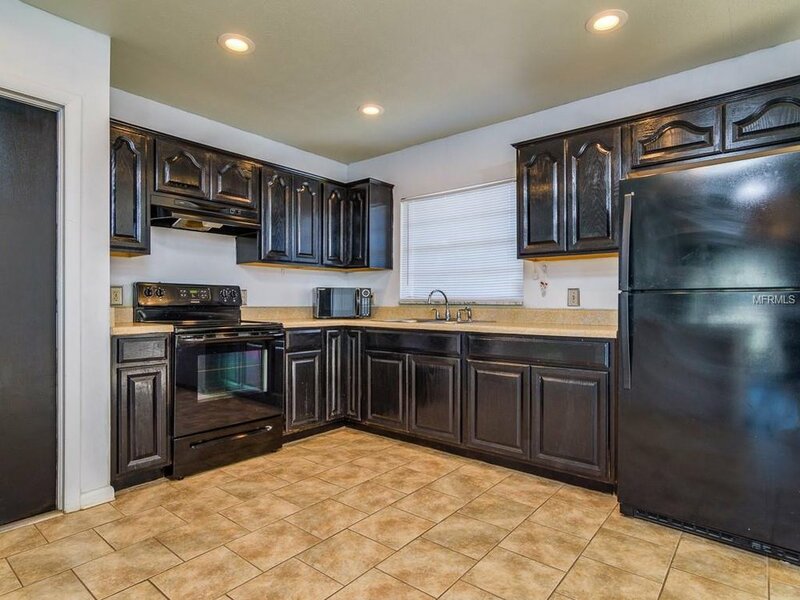 Kitchen has a breakfast bar and pantry, all appliances included. Nice covered and screened lanai outside with sliding door from dining area with a view of expansive backyard. This is a gated community with a crystal blue swimming pool and playground area with low monthly HOA dues! Monthly fees include community maintained exterior with management mowing, pest control and trash management for maintenance free living! Low HOA fees and no CDDs! This Magnificent Masterpiece is situated on a quarter of an acre of land in the gated private community of LAGO DEL REY! With its column-accented elevation, this 2014 built Home features a Triple-split 4 bedroom floor-plan and over 2,600 sq ft of living space. Spacious kitchen boasts an over-sized Venetian Gold Hued Granite topped Island, 42 inch raised panel wood cabinetry complete with crown molding, and Stainless Steel appliance package. This is the perfect layout for entertaining and call home! The ample sized Master suite embodies a vast walk in closet, a Master Bath with double undermount sink granite comfort height vanity, Garden tub with separate Walk-in Tile shower. Home also features 16 inch Tile flooring throughout with no carpet, Double Pane Insulated Low-E Windows, 30 year Dimensional asphalt shingle Roof, 6 panel interior doors including closet doors, Listelo accented tiled baths, & much more! Call and schedule a private showing today! Or Click Here for more listing details! No HOA or CDD fees!